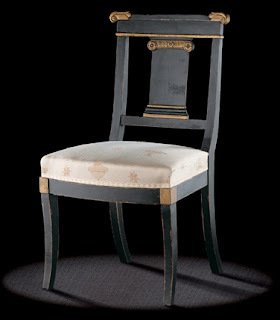 Empire Style chair, circa 1810-1815. Dimensions : 95 h x 52 w x 46 d cm. This chair is typical of the Empire period in its water lilies in the form of rolled lotus leaves punctuating the ends of the slightly curved cresting rail. Below, the splat is sculpted with Empire rosettes and a sheaf of bound laurels. 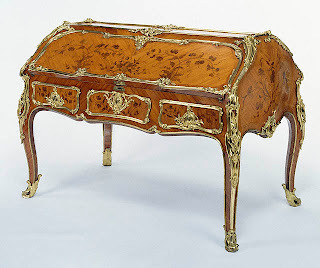 Its generous dimensions give it strength while its studied forms give it its elegance. 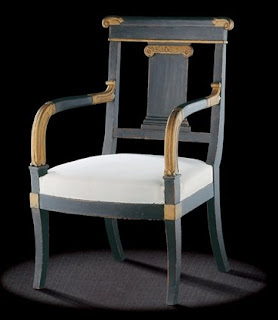 Empire Style Armchair, circa 1810-1815. Dimensions : 95 h x 58 w x 52 d cm. 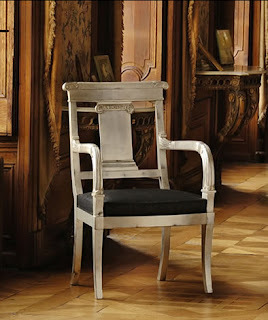 Of the same model as the previous chair, this armchair has all its qualities and generosity. 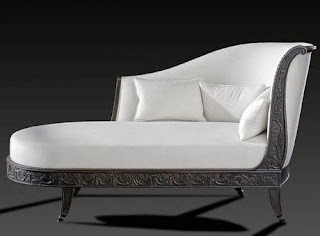 It differs in its arm-rests, which very prettily continue the line of their curved supports, and are ornamented with a very fine sculpture of stylized lotus leaves.